Wenonah Canoes have kindly agreed to give us one of the best 3 man Kevlar canoes on the market at an excellent price. Thanks to Kevin at Chosen Valley Canoe Accessories for much help, support and kindness. 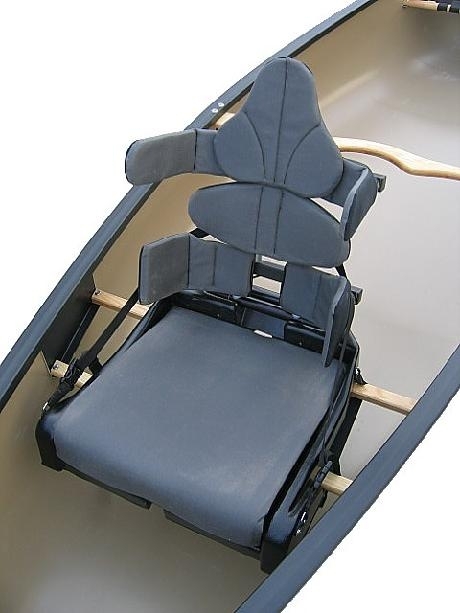 The universal seat allows persons with disabilities to access paddle sports with safety, comfort and with great efficiency at a very reasonable price. Thanks to Ron Jeffries at 1stSale.co.uk for the very generous sponsorship. Many thanks to Angus and Margot for their support, help and generosity. Sonia Bee and John Court.